Another charming Usborne learning helper. 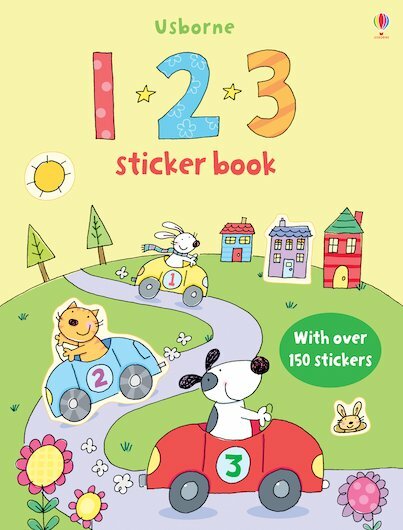 Sticker maths as easy as – you guessed it – 123. There are so many lovely things to count with: cute animals, fun objects and simple number puzzles. There are also a lot of stickers. Such a big number that you might need a grown-up to help count them. The gorgeous artwork is such a draw: there’s even a cuddly little dog flying an aeroplane. There you go: far more than 123 reasons to buy it.